This is a GIA certified 2.53 carat natural fancy light brownish-greenish-yellow pear shaped diamond that measures 11.29x6.93mm with SI1 clarity. The natural color of this diamond is evenly distributed throughout the stone. This diamond is set in a rich 18 k yellow gold diamond prong setting and is offset by 30 round brilliant cut white diamonds that surround it in a glittering halo and on the top in a graceful design totaling 0.33 carats. This gorgeous pendant is set on a cable link chain and crafted in brightly polished platinum. 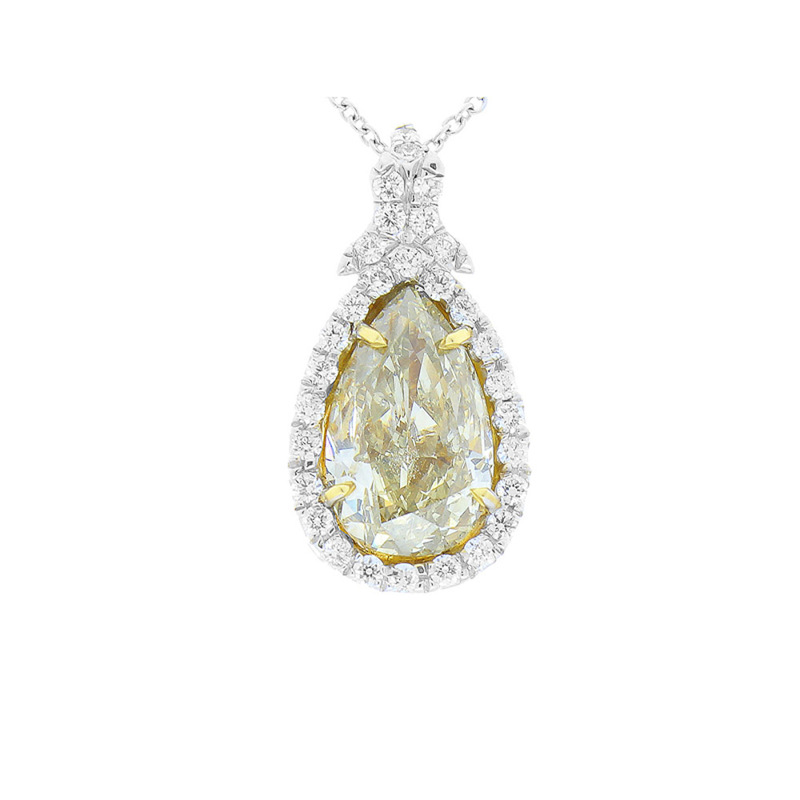 The pear shape make the ideal shape for a pendant. This pendant chain necklace set is accompanied by a GIA certification upon purchase.